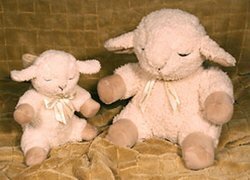 A compact version of the award winning original Sleep Sheep, this adorable travel companion brings its comforting sleep time sounds with you when you are away from home. 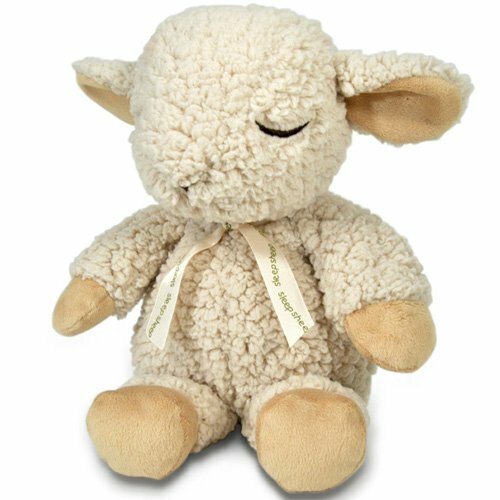 Similar to the original Sleep Sheep, the On The Go version has four soothing sounds to help your child sleep easier; however its convenient size (8" tall) fits easily in a diaper bag or luggage. On The Go is especially helpful in calming children to sleep in an unfamiliar environment.